I finished Amumu in time for Christmas! My husband found him in his stocking yesterday morning. 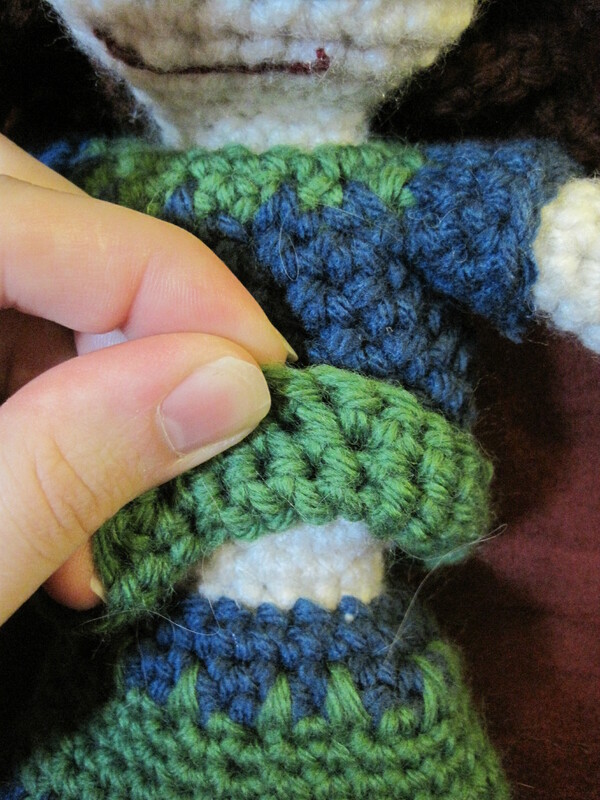 Amigurumi Amumu is so cuddly. Maybe he won’t be sad anymore. 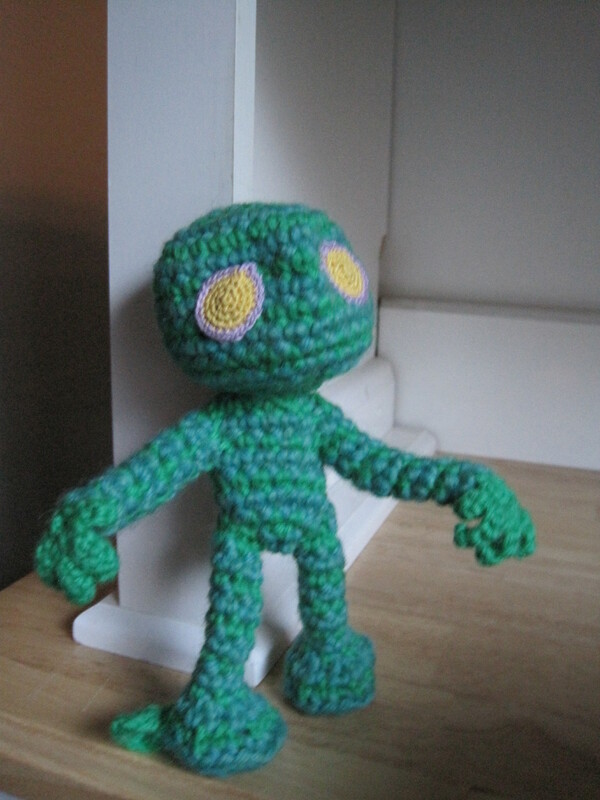 My husband plays League of Legends, and Amumu is his favorite champion, so I thought I’d whip up an amigurumi Amumu for him. Of course, as soon as I made the pieces and pinned them together, my water broke. So it’s still unfinished. But I am determined to complete it before Christmas. 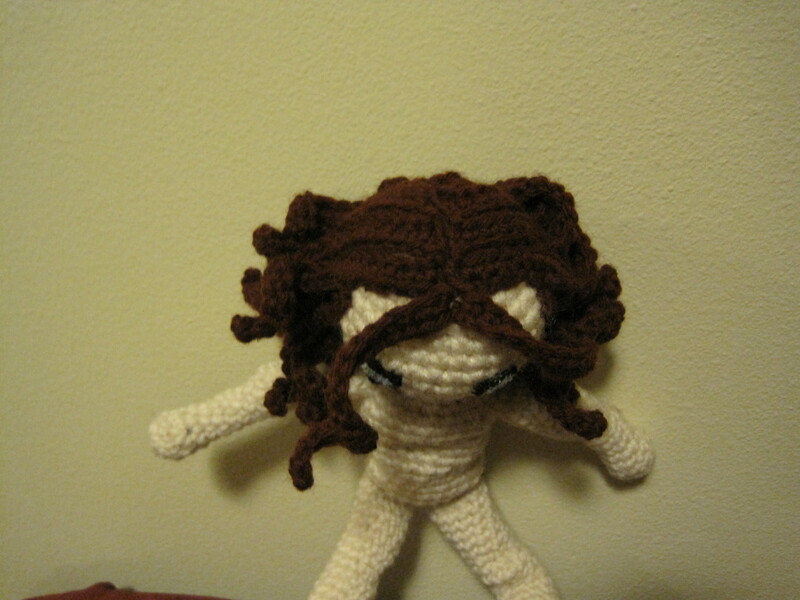 I tried something new with this amigurumi. 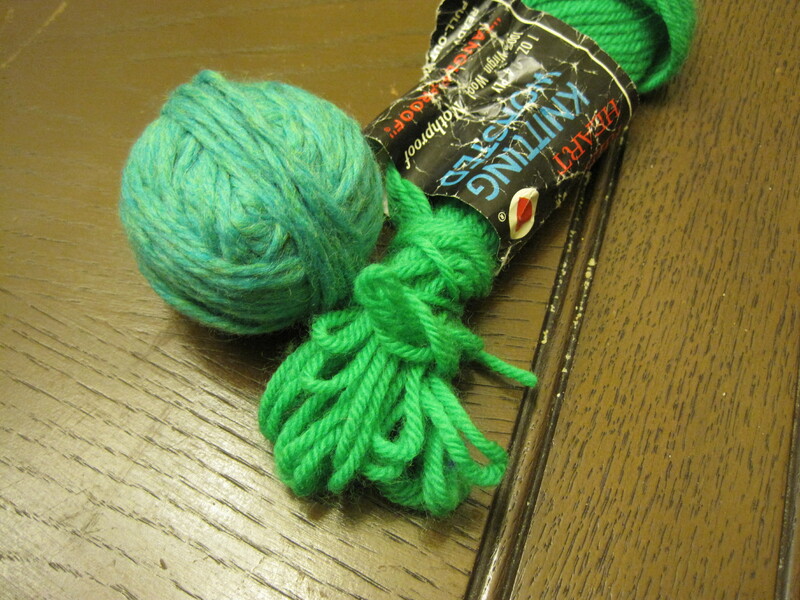 I had a couple of good colors for it in my stash, and since I couldn’t decide which to use, I used both. 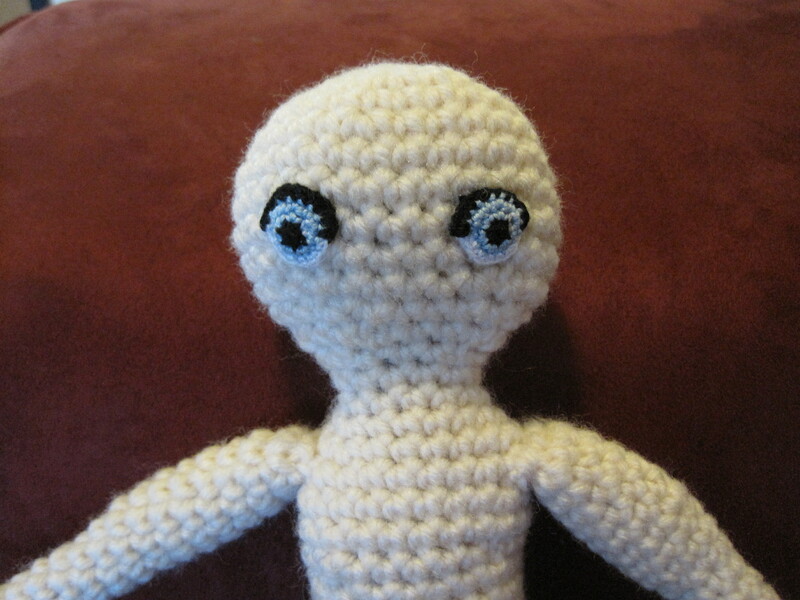 Now I just need to sew him together and make him some big, sad, yellow eyes. I think I can do that before Christmas. Here she is in a simple skirt and shirt. 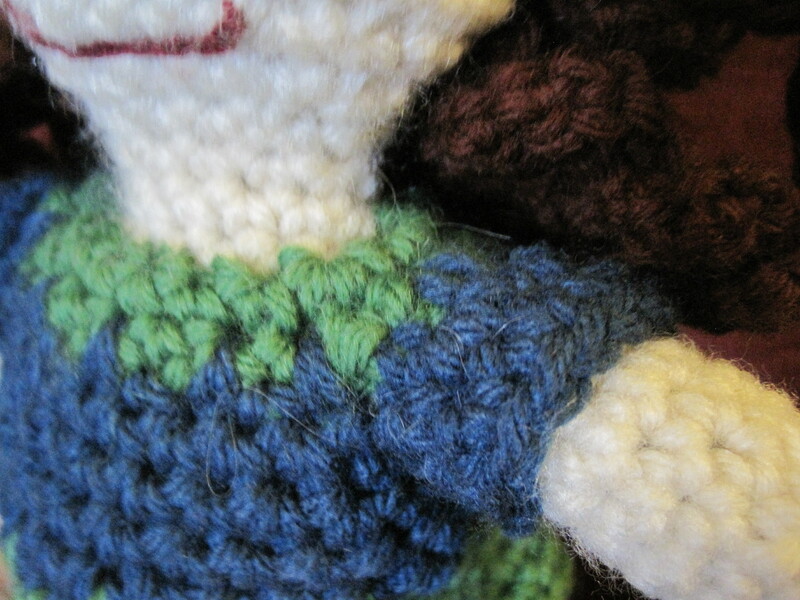 I made them both on her, just working in the round off the stitches at her waist and neck. I threw in color changes here and there to lend the outfit some style. The sleeves on the shirt were the only tricky part. I ended up skipping four stitches of the round at each shoulder, chaining four under each armpit, and continuing around and around the body of the shirt. Afterward, I worked the sleeves around her arms. 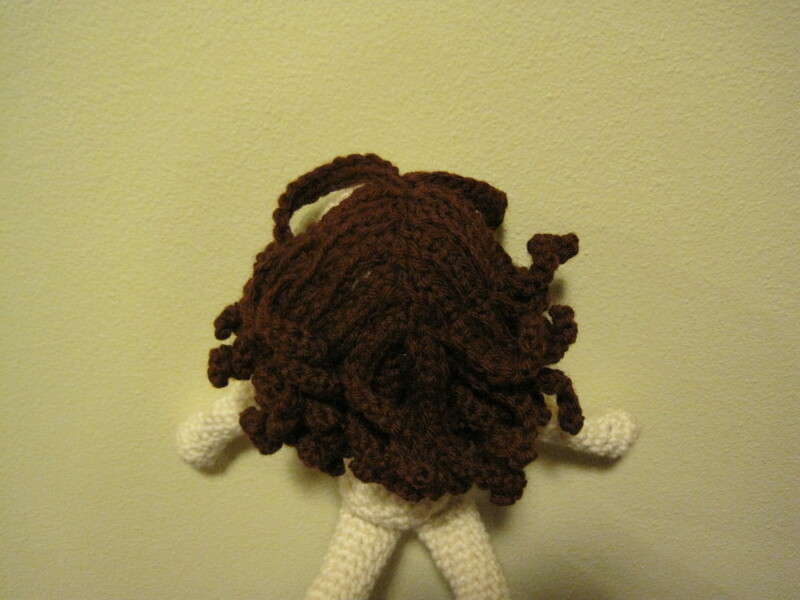 One tip I discovered about making clothes attached to dolls: do the hair after the clothes. Especially if your doll will have bushy hair. It really gets in the way sometimes. I’ve learned a lot from fiddling around with this doll, which I’ll be able to apply to future dolls. But for now, I think it’s time to try amigurumi animals! 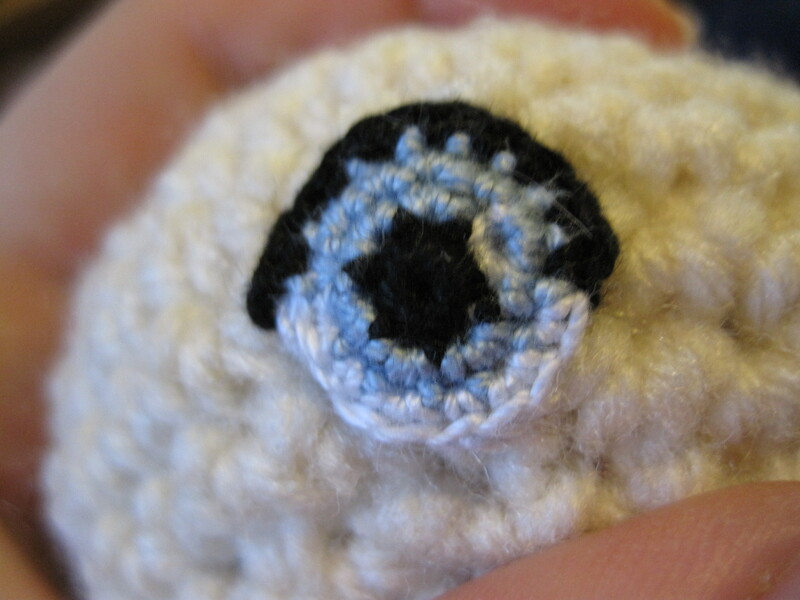 I looked about for different ways to do eyes and settled on one I could do without going out to buy more things. 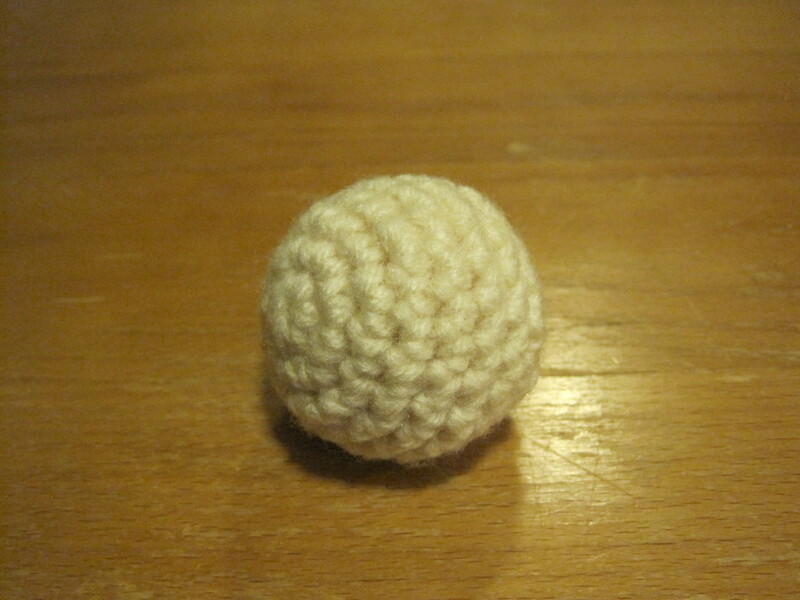 I crocheted them out of #10 crochet cotton and sewed them on. I think this method has a lot of potential for different shapes and colors and styles, all resulting in flat, secure eyes safe for anyone to chew on. Then I looked at hair. 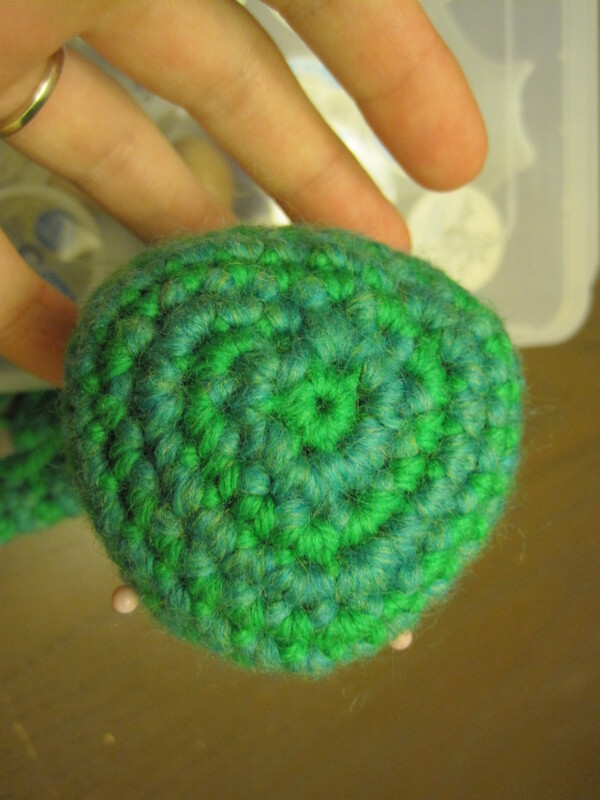 I loved one tutorial using yarn fringe (link), but I wanted to try out the look of crocheted locks. 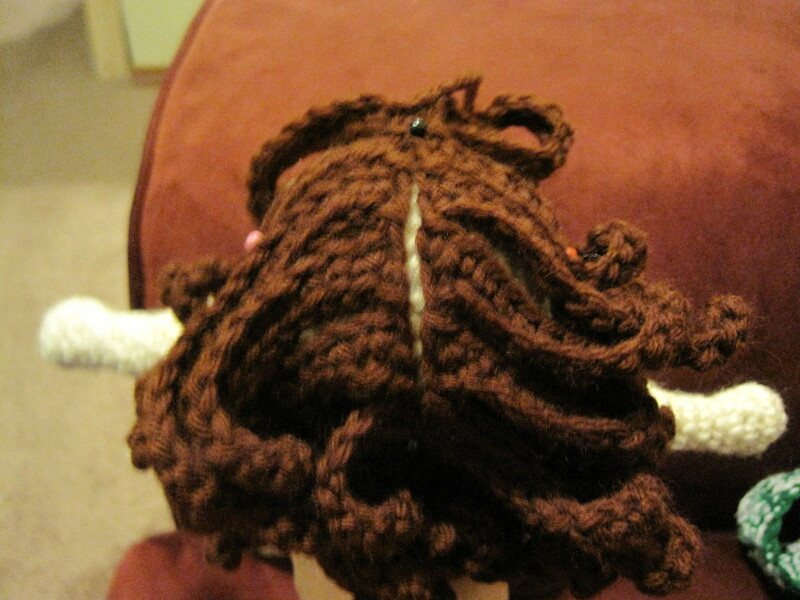 So I made lines of locks and sewed them on in four layers, starting at the bottom and working up to the part on top. Her hair is beautiful, but rather heavy. It’s certainly not for the faint of neck. 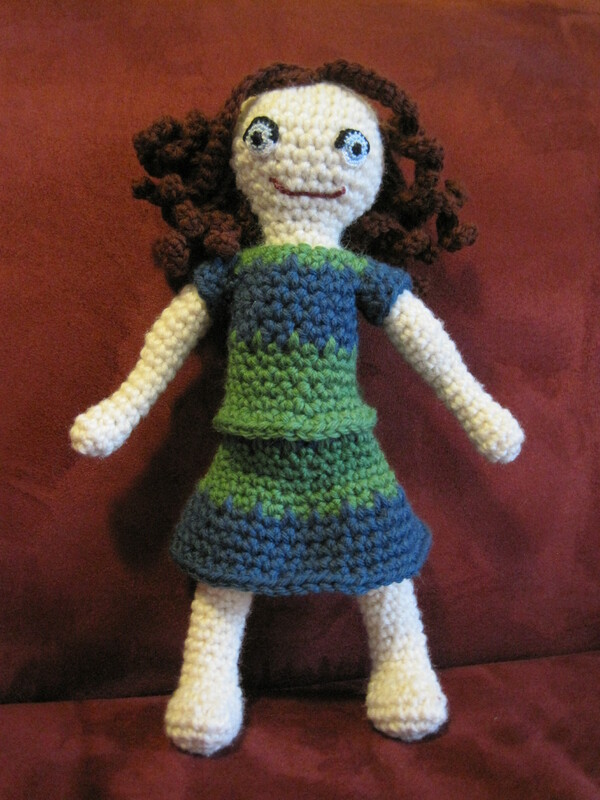 Her mouth is just a wee line of embroidery with #10 crochet cotton. I’m not sure about the shape and may try again. Next: to figure out some clothes! 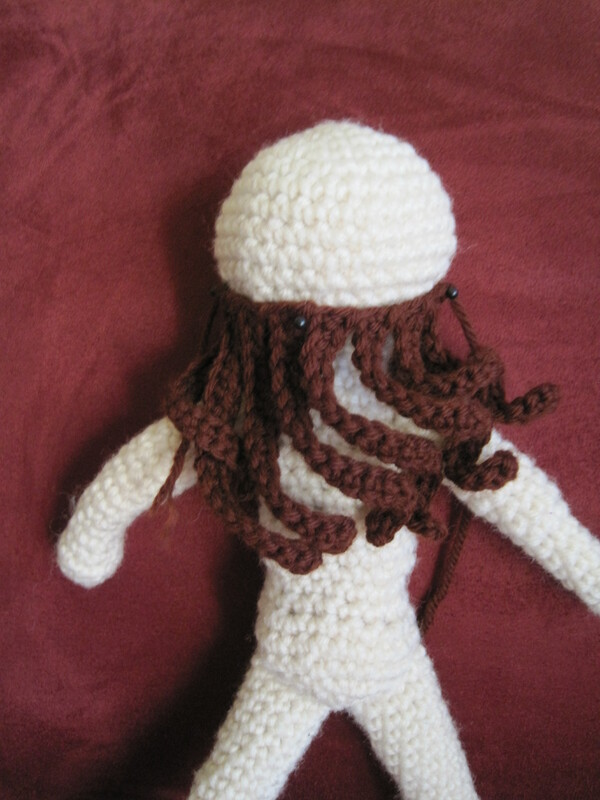 I tried amigurumi (the craft of crocheting stuffed toys) before I knew there was a term for it. 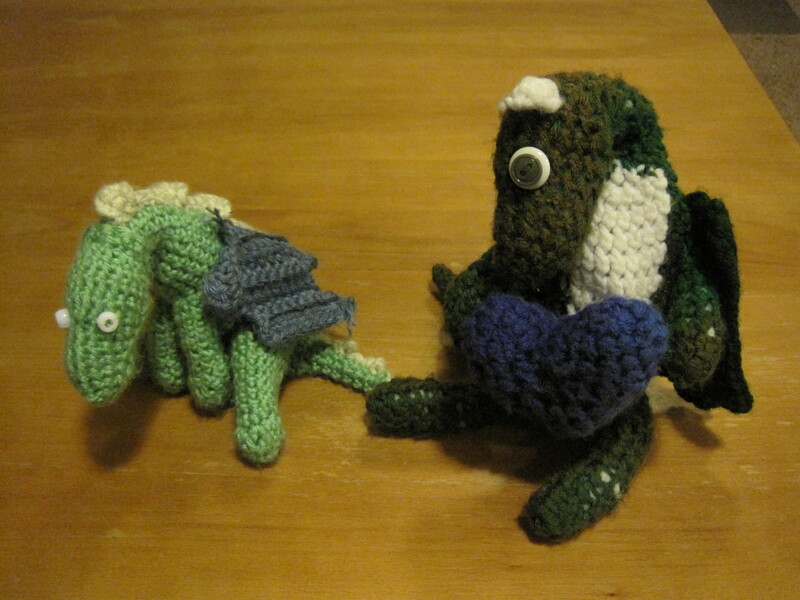 In college I crocheted several dragons. Here are the two I still have: Stewart and St. Elmo. Poor St. Elmo spent a lot of time living on our car’s dashboard and got sunburned. Each of my dragons had shaping issues, probably because I tried to make them in one piece rather than sewing several pieces together. 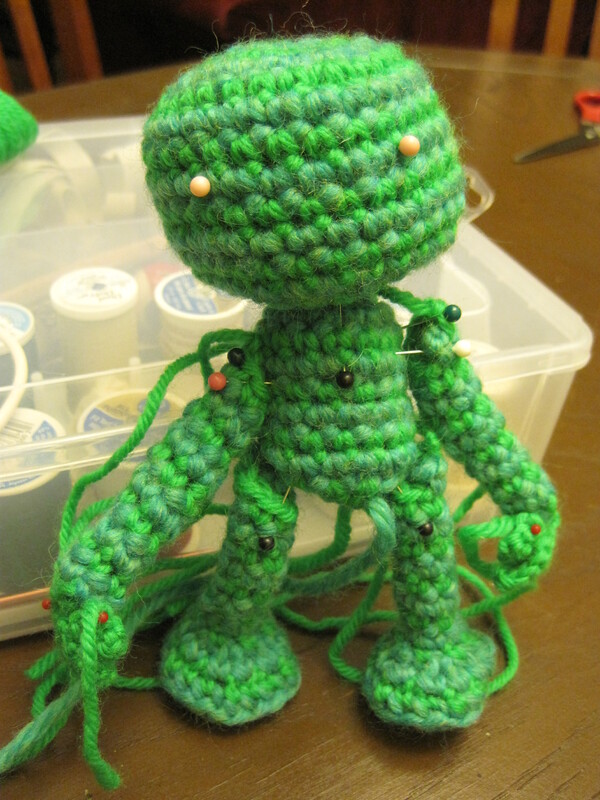 Now that I’ve seen so much adorable amigurumi online, I want to learn real techniques and give it another shot. Yesterday I started with some basics. I found allaboutami.com, where I learned the magic circle starting method and the invisible decrease, and then I tried out a sphere (following one of the ideal sphere patterns found on mspremiseconclusion.wordpress.com). I can totally do this. The only question is what should I make first?